Healing Herbs for Your Good Health of Kidneys, Lungs and Bones! Healing herbs also can be termed as medicinal herbs that are available in nature and posses the magical properties of healing various ailments caused to the human body. The action of natural healing herbs isn’t just associated with the common disorders like cold, the flu, digestion and fever but these medicinal plants can be used as herbs to heal lungs and kidneys too. According to the studies, healing herbs list of plants that act as anti-carcinogenic can also be produced. This article is going to provide you with a list of herbs for healing wounds, lungs, kidneys, bones and also the most commonly encountered day to day diseases. Below is a list of different herbs for health and healing to maintain the sound functioning of the body. Let us now consider some facts and reasons of every above-listed herb that will help you understand the importance of the natural healing herbs. The reasons why following herbs have an extensive use as herbs to heal kidneys? It is also termed as a stone breaker and as per studies, this herb contains the properties that help to protect and cure of the diseases related to urinary bladder, kidneys and liver. It is native to South America but also has its mention in ‘Ayurveda’ as one of the herbs to heal kidneys. This herb works indirectly for kidney health. The site of action of this herb is the urinary tract. It tones the urinary tract and thus indirectly acts for kidneys as the toning of the urinary tract is directly related to detoxifying the kidneys. This plant was previously used by Native American tribes and since then it is the best-known herbs for health and healing. Hydrangea Root ensures proper utilization of the calcium present in the body or bloodstream to prevent the formation of kidney stones. If there is a presence of any stone, this root smoothens the ragged ends of the stones. Like other herbs mentioned above, this herb was brought into use by Native Americans to promote kidney and bladder health naturally. This ingredient of healing herbs list helps in effective flushing of kidneys and bladder that allows maintaining the good health of the renal system. It can be easily incorporated into the daily diet by adding it to tea or in a form of the capsule. Having it will ensure thorough removal of toxins from the body via the urinary route. Naturally, it has the high amount of sodium and potassium content. Like Horsetail even this is another naturally healing herb with diuretic property and has the similar function like that mentioned above for horsetail. Both seeds and roots of this herb are useful and are known to have been used for centuries. Euparin content of the Gravel is effective against the harmful organism and thus prevents against serious infection to the kidneys. It is one of the herbs used for healing for centuries by Americans. Traditionally it was used for cleansing of the kidneys. It can still be utilized and is in use due to its astringent property. It soothes and tones the urinary tract for the effective and regular discharge of urine. It is diuretic and is the good one on the list of herbs to heal lungs. Like the above herb, even this one soothes the urinary tract. The additional property that it posses is that it also promotes urination and removal of toxins from the body. It was also a common name in old times as one of the best herbs used for healing. Its activity is pretty much similar to that of Uva- Ursi and Marshmallow root. It was earlier thought that this weed plant was of no use. But in reality, both the roots as well as leaf are of great use when considered amongst the herbs to heal kidneys. Last, amongst the natural healing herbs for kidneys, it is effective in lessening the toxin build up. It is also a diuretic that maintains the urinary tract health. It is a common food item too and easy to consume in its natural form. What makes the following natural healing herbs best herbs to heal lungs? It is an Australian based herb that is commonly used for respiratory ailments which in turn help take a good care of the lung related disorders. The aroma of eucalyptus soothes the irritation in the throat. Cineole the component of eucalyptus loosens the phlegm eases the sinus passage and acts as an expectorant too. It helps boost the immune system by the virtue of its anti-oxidant property. The name itself is enough to state its use in the treatment of lung disorders. Ideally, it was more in use in early centuries but still is a good name in the healing herbs list. It lessens the congestion in the respiratory tract and its antibacterial property help fight against harmful bacteria that can cause respiratory inconvenience. Oregano contains rosmarinic acid and carvacrol that help it acts as an antihistamine and decongestant. Both these activities relieve the air passage and respiratory tract. Oregano also posses many other health benefits too hence is a must have herbs to heal lungs. Use of this leaf as herbs for healing runs back in time over the years. It soothes the irritated and congested mucous membranes. It promoted decongestion of membranes for effective airflow. It is also a good option to opt for curing dry cough. This is one of the greatly treasured and valued herbs for healing. It is given to horses to allow them to breathe deeply. Lobelinecontent is responsible for thinning of the mucus, reducing congestion. It epinephrine that makes breathing easier. It also relaxes the muscles. It is one of the finest and readily effective natural healing herbs present on the healing herbs list. There is enough evidence to state that the cough drops and lozenges have been prepared from Elecampane. Indian Ayurveda, which is famous worldwide also, boasts about its use for respiratory diseases. It relaxes the muscles of the trachea. Inulin present in the roots of Elecampane produces a relaxing and soothing effect on the bronchial passageway and the alantolactone content acts as an antitussive by reliving a cough. One of the good herbs to opt for while considering herbs for the healing of respiratory and lung problems. Chaparral is considered important as herbs for health and healing of respiratory problems. It actively works for detoxification of lungs, fights against the histamine action. Its antioxidant property resists and reduces the irritation. It is also an expectorant that is easily available can be consumed by adding to tea and making a chaparral tea. Native to the Rocky Mountains of America this is a supreme name in the herbs for health and healing This medicinal herb is a great source of camphor and other isomeric compounds that make it best herbs used for healing lung issues. It greatly increases the blood circulation to lungs. It also produces a similar effect as that of antihistamines and reduces the irritation caused by the respiratory tract due to the common cold, the flu and seasonal disorders. How the following five herbs for healing do the wonders as herbs for bone healing and also act as healing herbs for wounds? Some of the herbs listed as the herbs to heal kidney are also powerful herbs for bone healing. This is one such herb for health and healing. Fresh parsley is a great source of calcium and thus a good medicinal herb for bone repair. You already came across this herb mentioned above as the herbs to heal kidney. This herb has multiple uses and is also one of the effective herbs for bone healing. Silica present in these herbs allows proper assimilation of calcium in bones and thus maintains the bone integrity. Fenugreek is known to stimulate the calcium absorption in bones. Soak 1-2 teaspoons of fenugreek seeds in water and then drink it. This would be enough for fenugreek seeds to start its action. These last two herbs act as healing herbs for wounds too. Let us get to know a little bit about them. Yarrow improves the circulation to the wound affected area and hence promotes faster healing. This is the reason why it is on the list on healing herbs for wounds. Since it increases the circulation to the repair area it promotes faster assimilation of calcium for bone repair.It can be taken blended with the tea. Comfrey is considered as an epitome as herbs for bone healing. It is rapid in its action. Comfrey leaf poultice when applied over the affected area allows faster healing and strengthening of bones. Comfrey has a significant history of working as healing herbs for wounds. To make the poultice – take dried leaves or fresh leaves of comfrey and blend in a blender. Boil it in water and remove excess liquid. Before applying to the wound or affected area apply some oil to prevent sticking of the poultice. Then cover it with gauze. Keep changing after every 2-4 hours. 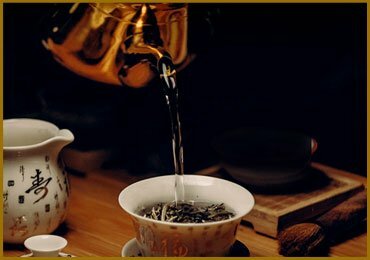 All the above herbs mentioned in this article of herbs for health and healing are available in markets in various forms like blends of tea, nutritional supplements and many others. While buying such products be sure to read the contents to ensure you have the necessary ingredient in the product. If you happen to have a backyard where you can grow some trees and shrubs then you can also plant them in your garden and use them as needed. If you have any intense and long-term disorders then it is advisable to consult your doctor and not just rely on these herbs used for healing. 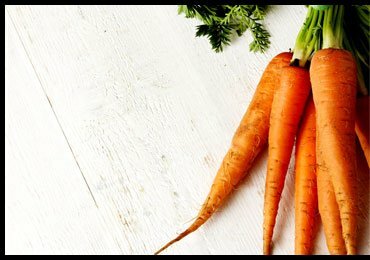 Read Next – Benefits Of Parsley For Beauty And Health! 10 Effective Home Remedies For Blisters on Tongue! 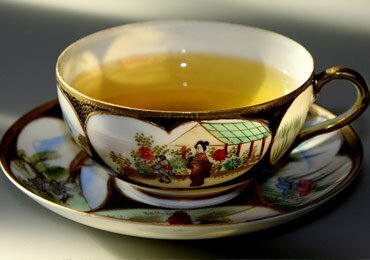 Benefits of Green Tea for Skin that will Surprise You! 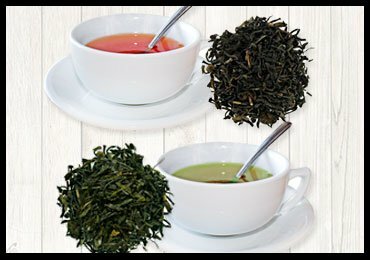 How Tea Leaves Can be Used For Health and Beauty? 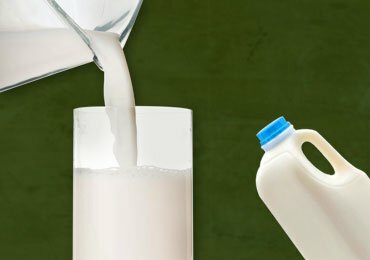 Goat Milk – Is It Really Healthy for You? 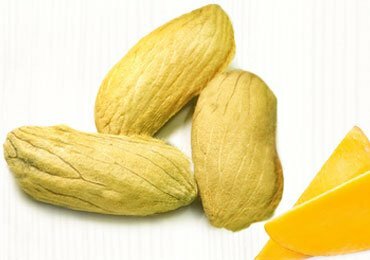 Mango Seed Benefits Will Leave You Speechless! Hello Folks, I am Anuprita Zore. If natural and 100% organic is what you are looking for, Welcome!, I'm here, dedicated to helping you out with the beauty tips, articles, and the suggestions on using organic homemade remedies alive and rich in nutrients to add extra value to your beauty. These DIY natural ideas will help you detoxify, replenish and regain your grace using the naturally available products in your immediate reach. I hold a master's degree in Biotechnology and am currently living in Mumbai, India.